This questionaire helps one determine the severity of the problems their teen is facing. Please be aware that if your teen seems to fall in the highest risk category, that it is often wise to seek professional help in a supervised well controlled environment, such as a Residential Center/Specialty School combination. Less severe cases can usually be resolved right in the home by developing and enforcing a plan of family rules and structured discipline. After checking the Yes/No items of this questionaire, you can click the "Score It" button at the bottom which will tally your answers and immediately offer suggestions and recommendations based on your specific responses. Yes No Does your teen struggle with basic family rules and expectations? 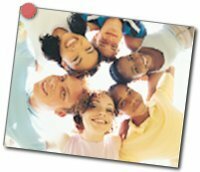 Yes No Has your teen ever been suspended, expelled, truant or had a drop in school grades? Yes No Has your teen ever been verbally abusive? Yes No Does your teen associate with a bad peer group? Yes No Has your teen lost interest in former productive activities, hobbies, or sports? Yes No Do you have difficulty getting your teen to do simple household chores or homework? Yes No Has your teen had problems with the law? Yes No Do you find yourself picking your words carefully when speaking to your teen, so as not to elicit a verbal attack or rage from them? Yes No Are you worried that your teen may not finish high school? Yes No Does your teen, at times, seem depressed and/or withdrawn? Yes No Is your teen's appearance or personal hygiene outside the family standards? Yes No Has your teen ever displayed violent behavior? Yes No Is your teen manipulative or deceitful? Yes No Does your teen seem to lack motivation? Yes No Do you suspect that your teen lies or is dishonest with you? Yes No Are you concerned that your teen may be sexually promiscuous? Yes No Any evidence of suicide contemplation? Yes No Do you suspect that there have been incidences of money or valuables missing from your home? Yes No Does your teen's behavior make you concerned for their safety of the safety of others? Yes No Is your teen angry or displaying temper outbursts? Yes No Does your teen seem to lack self-esteem and self-worth? Yes No Do you have a lack of trust with your teen? Yes No Does your teen have problems with authority? Yes No Does your teen engage in activities you don't approve of? Yes No Do you think your teen is using or experimenting with drugs or alcohol? Yes No Are your having serious doubts about your child's future success and well-being? Yes No Does your teen seem to be in constant opposition to your family values? Yes No When rules and consequences are established, does your teen usually ignore or defy them? Yes No Are you exhausted and worn out from your teen's defiant or destructive behaviors and choices? Yes No When dealing with your teen, do you often feel that you are powerless?